Beat the eggs with a whisk in a separate bowl, then beat in the buttermilk, milk and oil until well mixed. Stir into the flour mix with a metal spoon, until just combined. Quickly divide among the cupcake cases. 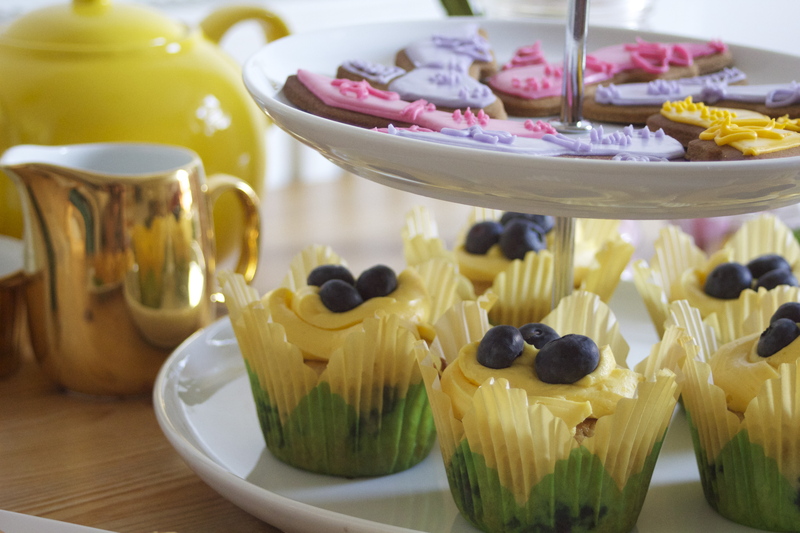 Mix the icing sugar butter and lemon zest in a freestanding food mixer or food processor. Slowly add the milk on a slow speed until you have a smooth creamy icing. 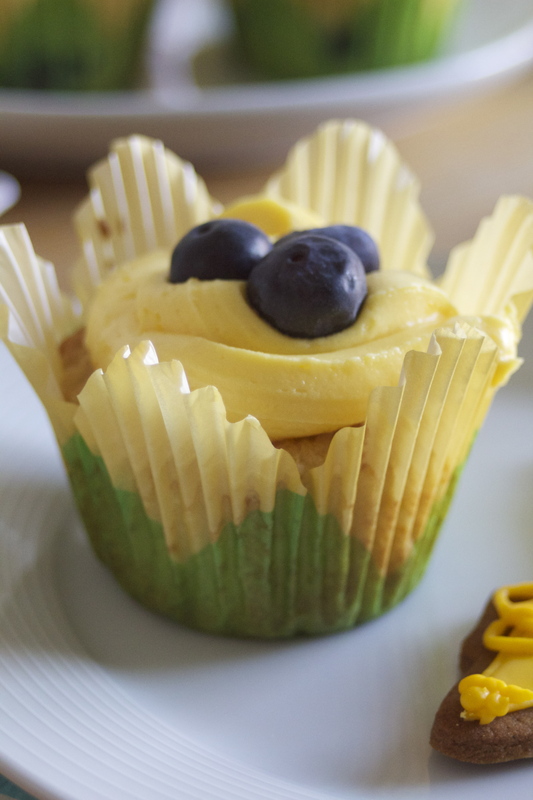 Pipe onto your cooled cupcakes and decorate with blueberries. Try to keep the kids away from them until you have the chance to give them to their intended recipient!